Breakfast is served from 7.30am until 9am. A range of cereals, fruit, and breads are available, or select one of our cooked options. 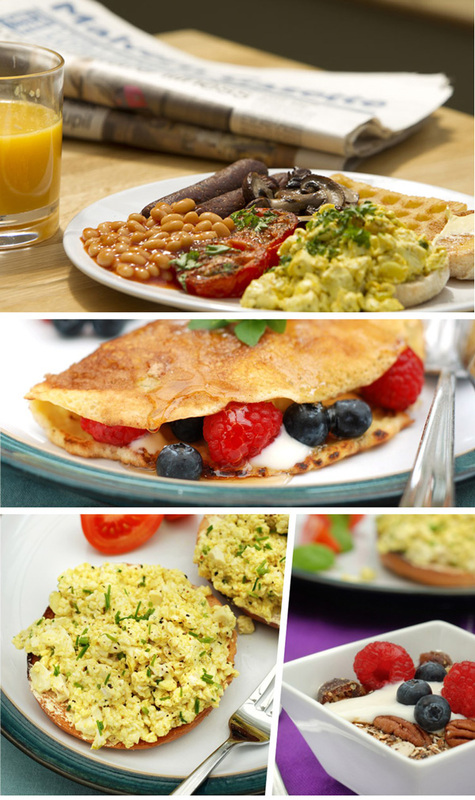 Lizzy’s full cooked breakfast comprises of premium quality veggie sausages, tomatoes, mushrooms, baked beans, hash brown, scrambled tofu and toast. Lighter options include toast or a bagel with one or more of the following toppings: scrambled tofu, veggie "bacon", mushrooms or tomatoes. Or indulge in some pancakes filled with bananas or seasonal fruit. Wheat and gluten free options are available, please give details of any allergies when booking. A two or three course evening meal can also be booked on request. Please enquire for prices.